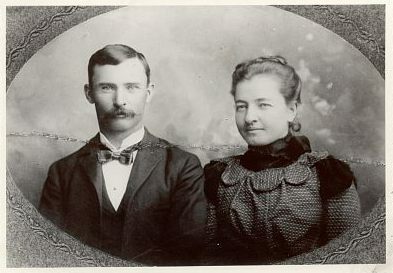 This photo of Charles Wesley Pace, Jr. and his first wife Anna Humphrey, taken about 1897, was obtained from Shirley Pace Newfarmer, Charley's daughter. 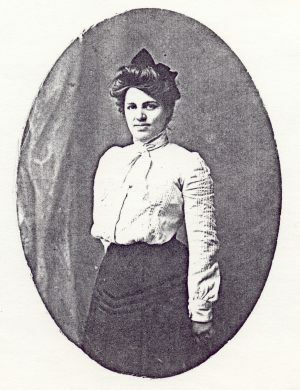 The photo is a copy of one which was in the possession of the late Nellie Hayes, Anna's niece. 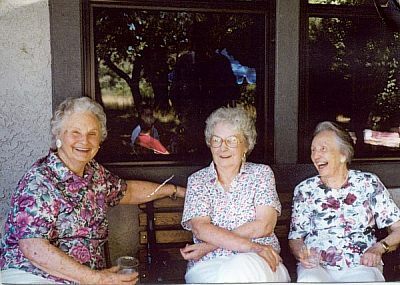 Shirley's sisters Margaret and Helen visited Nellie in 1981 while back in Paonia, Colorado for a class reunion. Notes from the visit include, "1. Nellie showed us a picture of Daddy and Annie (she called them Uncle Charlie and Aunt Annie). Nellie was about five years old when Annie died but she remembered the funeral vividly." 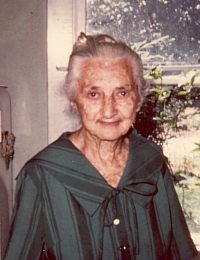 Photo of Nellie Hayes at age 80, Anna Humphrey's niece, taken in 1981, Paonia, Colorado. 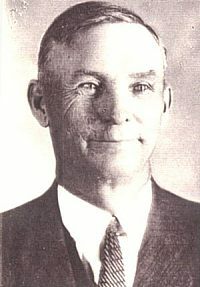 Charles Wesley Pace, Jr. was born January 01, 1867 in Clarinda, Page County, Iowa, and died January 15, 1937 in Harper, Harper County, Kansas. 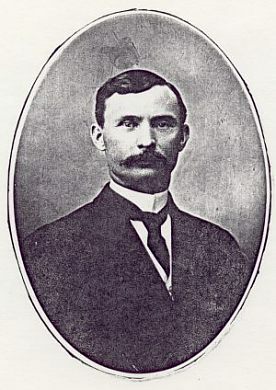 He married (1) Anna Humphrey Abt. 1897 in Gunnison County, Colorado, daughter of Ambrose Humphry and Jane Martin. She was born December 1870 in Nebraska, and died 1906 in Gunnison County, Colorado. He married (2) Amy Helen Russell November 26, 1908, daughter of Charles Russell and Mary Tansey. She was born July 18, 1884 in Fairfield, Jefferson County, Iowa, and died June 02, 1946 in Jerome, Yavapai County, Arizona. Helen Crystal Pace, born September 19, 1909 in Paonia, Colorado; died April 21, 1999. She married (1) Roy Ormand Newfarmer; born May 18, 1907 in McCabe, Arizona; died December 07, 1955 in Mountain View, California. She married (2) Ken Shepard. Margaret Louise Pace, born November 12, 1910; died February 2003. She married Virgil Milton Nostrand January 25, 1928; born October 11, 1904; died May 08, 1973. Shirley Elizabeth Pace, born July 24, 1917 in Grand Junction, Mesa County, Colorado. She married Ross Adrian Newfarmer September 18, 1935 in San Jose, Santa Clara County, California; born July 03, 1914 in Montrose, Colorado; died November 19, 2004 in Marysville, California. 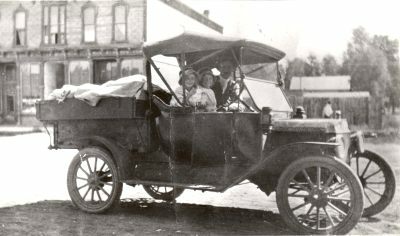 Photo of Charley, his two daughters Helen and Margaret, and his new Model T Ford Roadster, taken about 1915 in Paonia, Colorado. Charley raised produce in Paoina and would truck the produce to the mines to sell. His daughters would often go along. Charley's three daughters; Margaret, Shirley and Helen. Photo about 1990. The sisters were responsible for collecting and saving much of what we have on the genealogy of the Charles Wesley Pace, Sr. family.